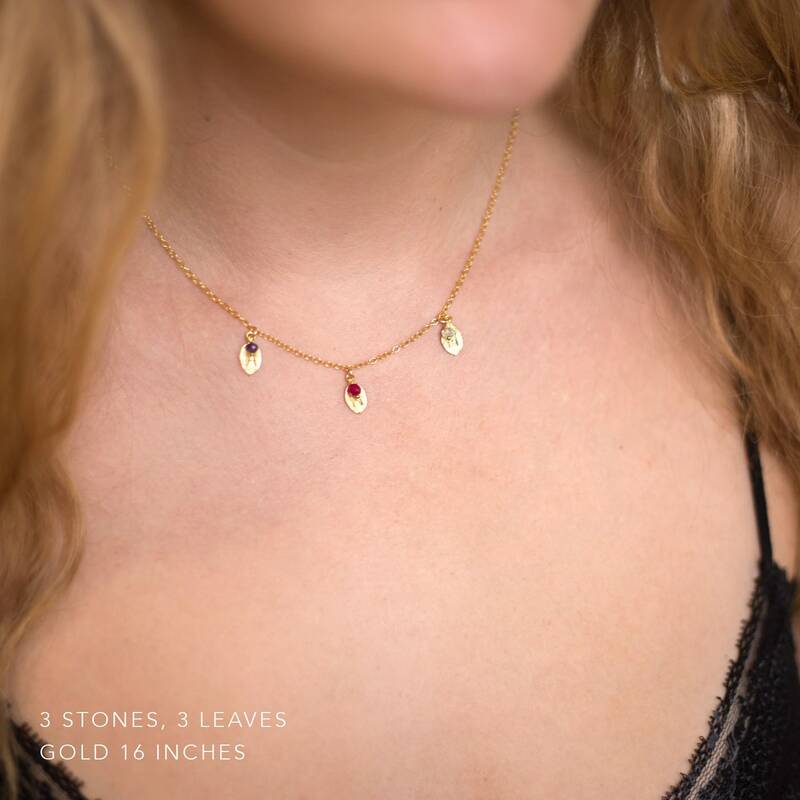 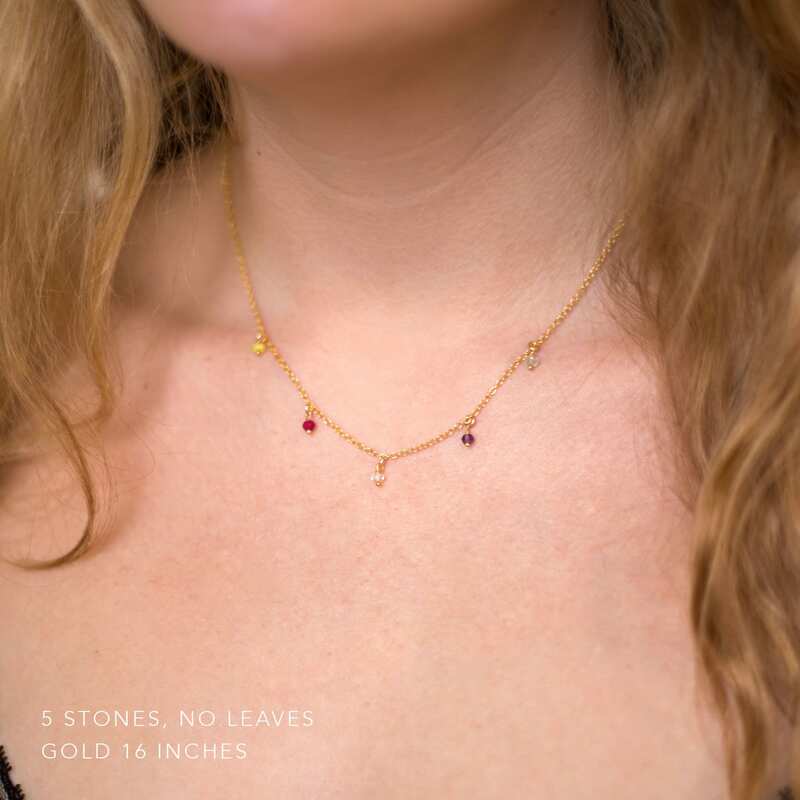 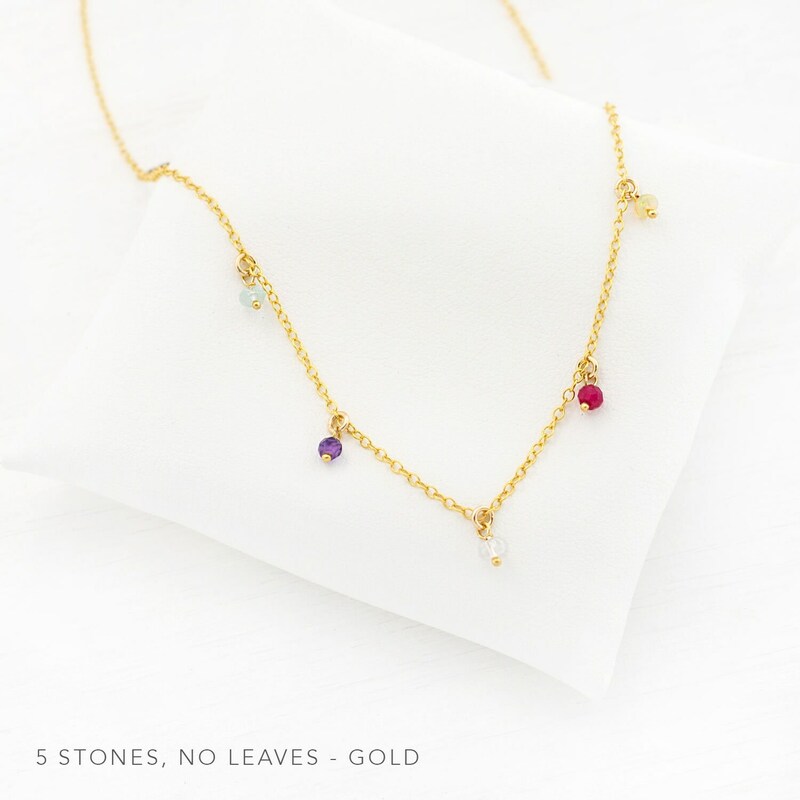 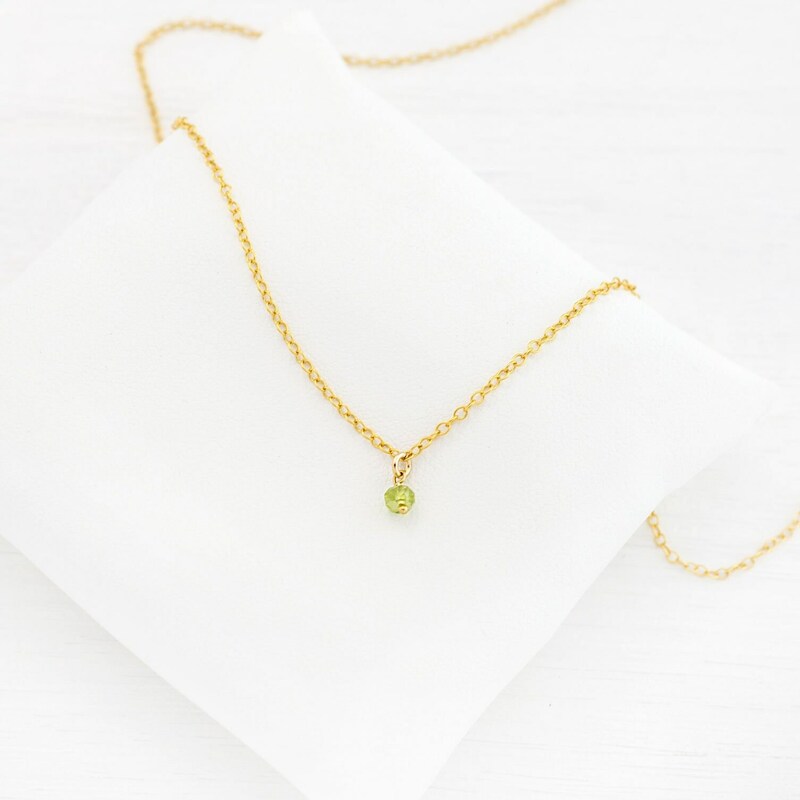 This necklace features tiny, wire wrapped birthstones hanging along a dainty 14k Gold Filled or Sterling Silver Chain. 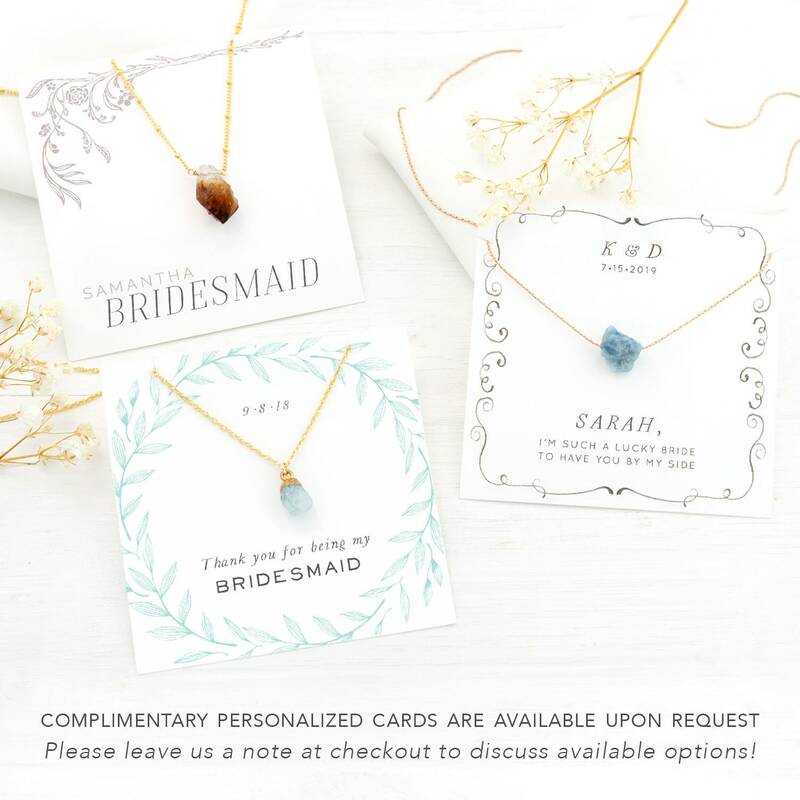 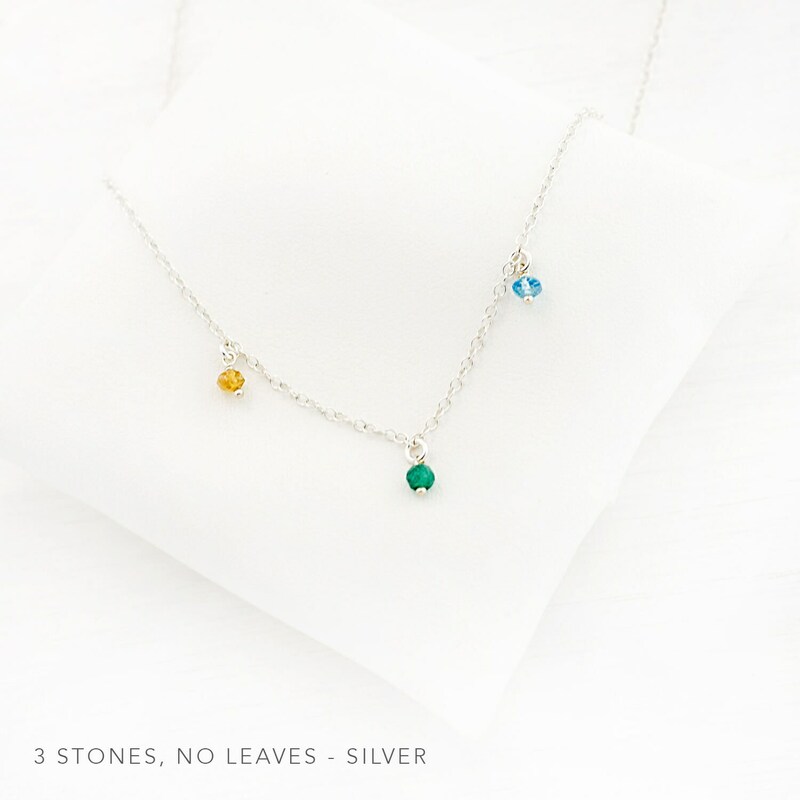 Every aspect of this necklace is customizable - Choose the birthstones [options available in listing photo], stamped initials, metal and length for your necklace! 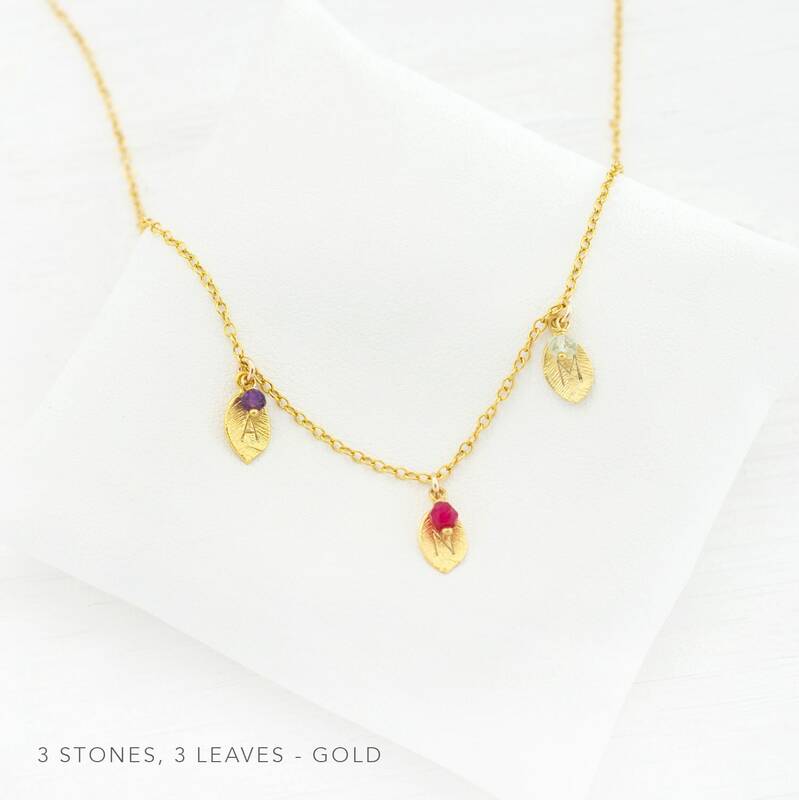 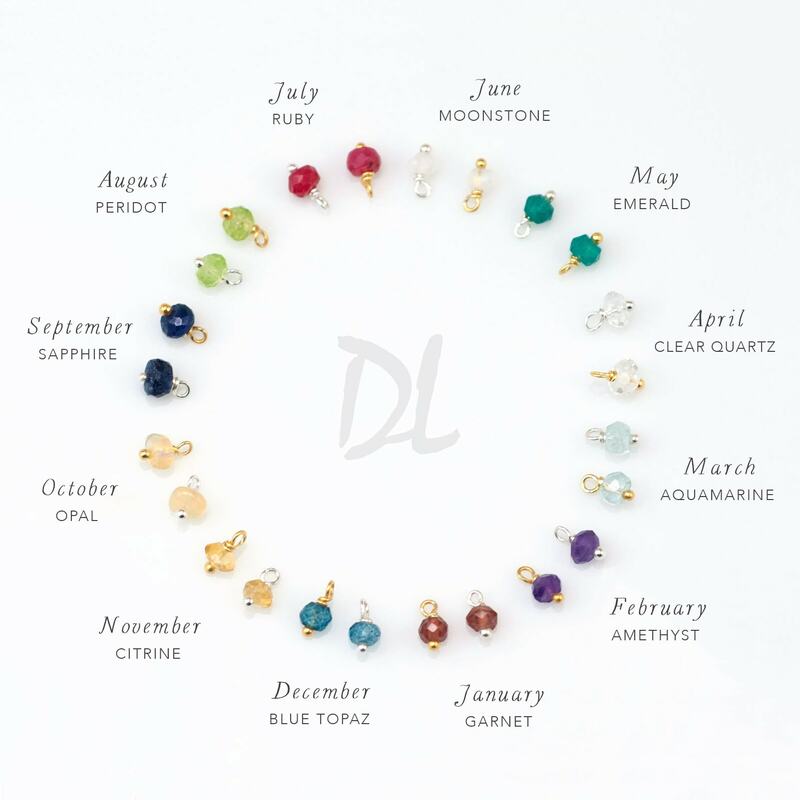 • In the “Add a note to Delezhen“ message box, write the LETTERS (if any) and BIRTHSTONES you would like on the necklace. 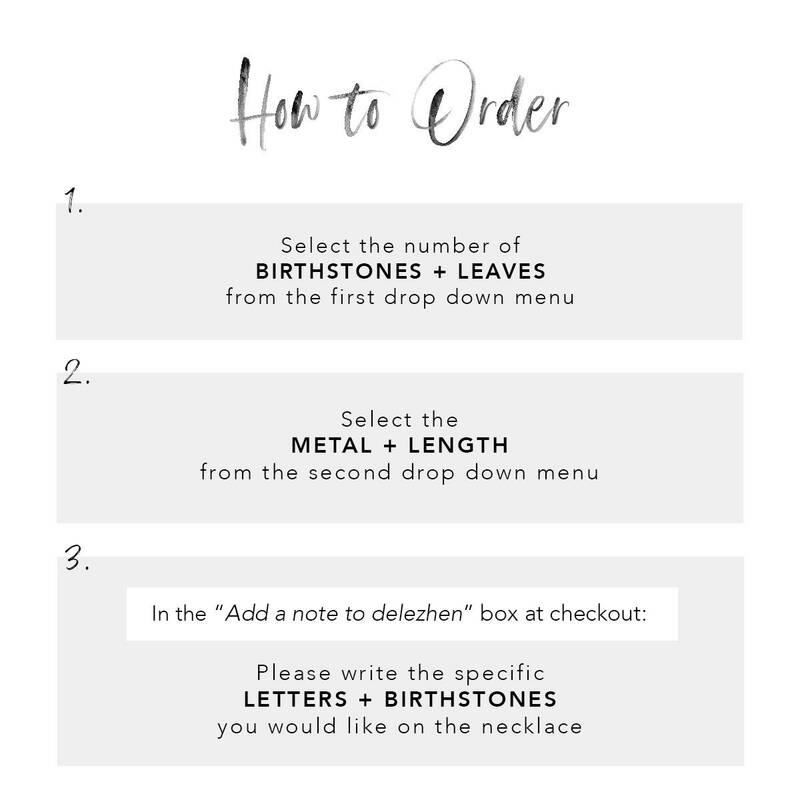 • All necklaces are NICKEL FREE!